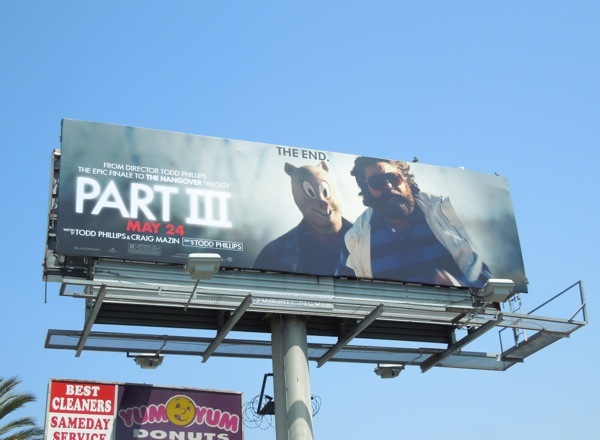 The end is nigh as the Wolfpack hits the road for one final road trip, and inevitably it looks like all roads lead back to Las Vegas. 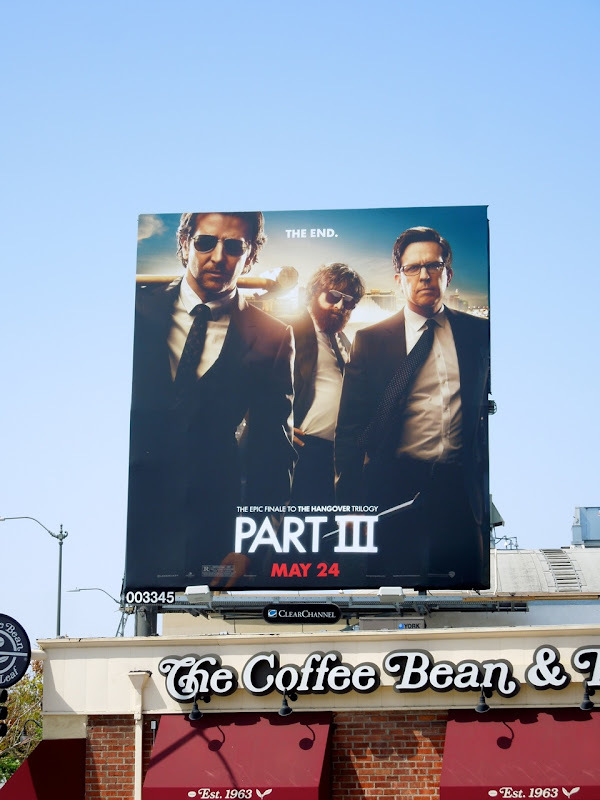 Describing this last installment as 'The epic finale to the Hangover Trilogy' lends a tad too much gravitas to the comedy sequel, because let's face it, it's not exactly Shakespeare or Tolkien. 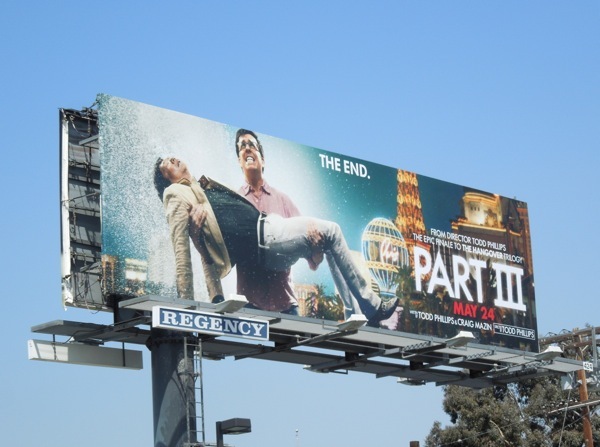 This time there's no wedding or bachelor party, but 'Leslie Chow' has escaped prison to cause more problems for the boys. 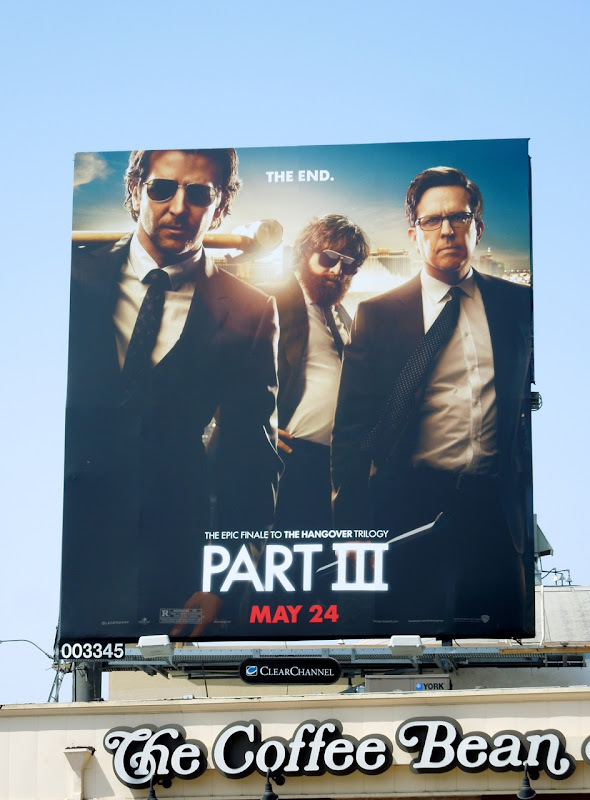 Hopefully Bradley Cooper, Zach Galifianakis and Ed Helms can deliver a send off which isn't just a re-run of 2009's surprise smash box office hit and exceeds the disappointment of the 2011 sequel. 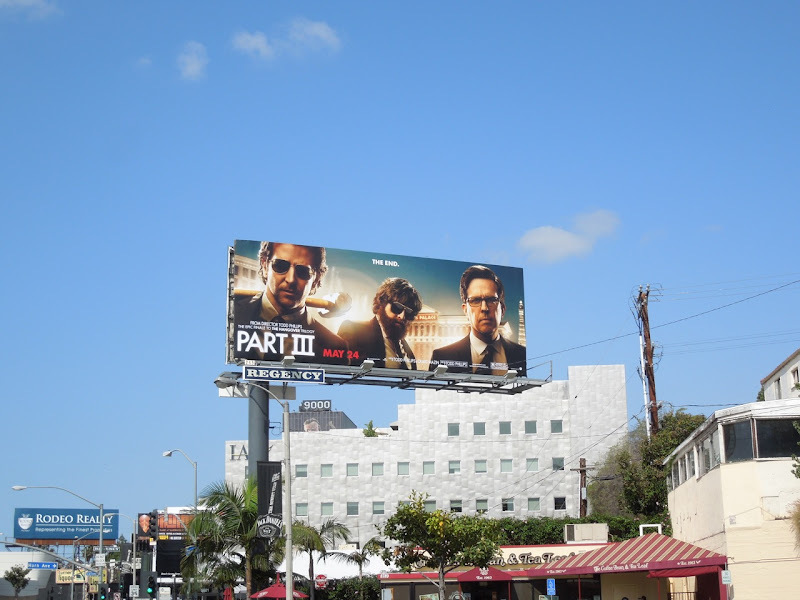 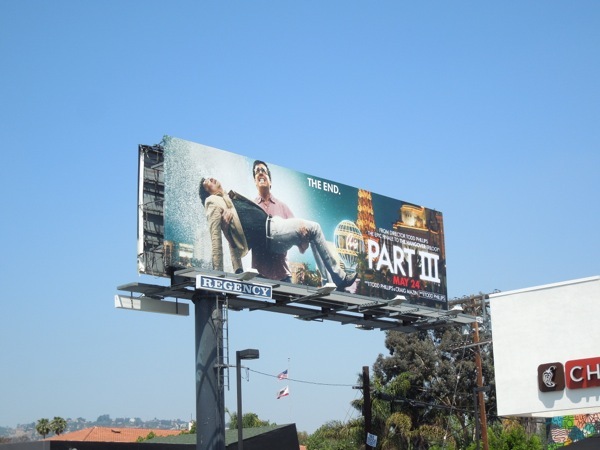 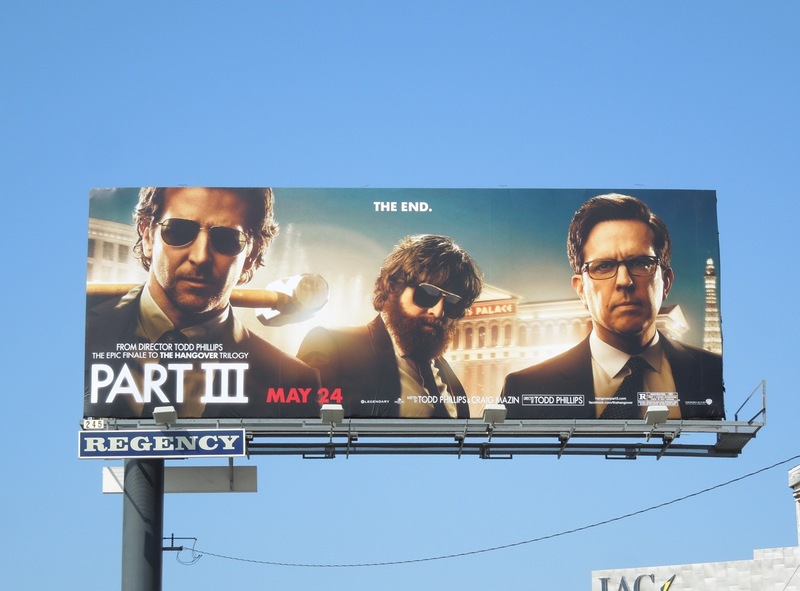 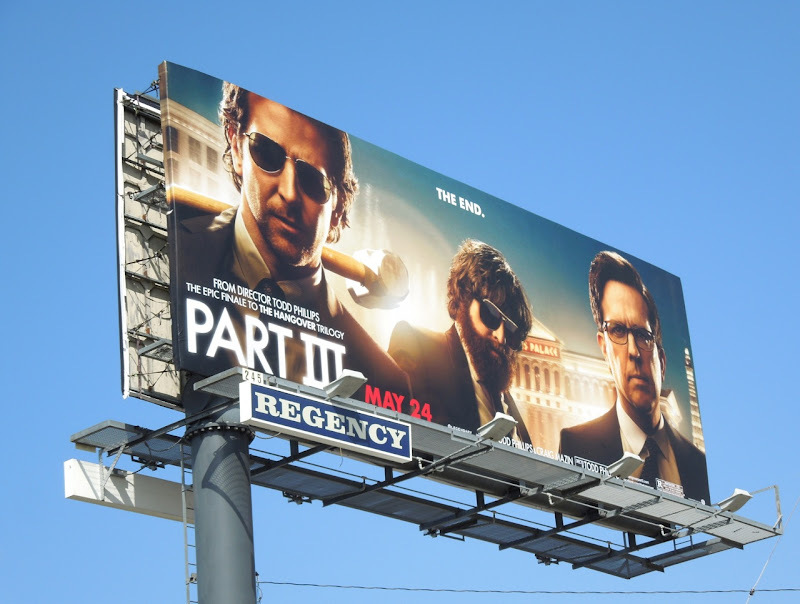 If you're a fan of the movies, be sure to also check out these fun billboards for The Hangover Part II. 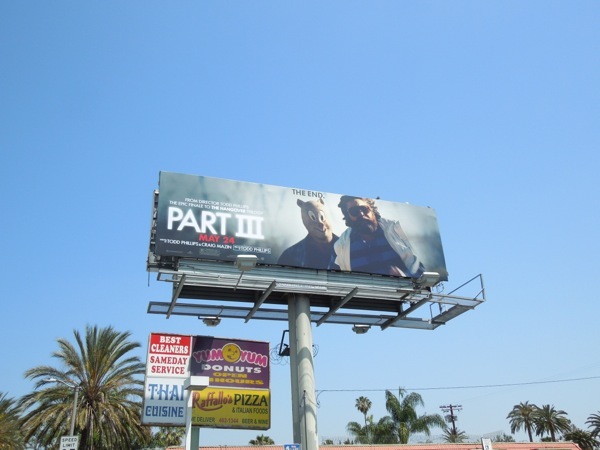 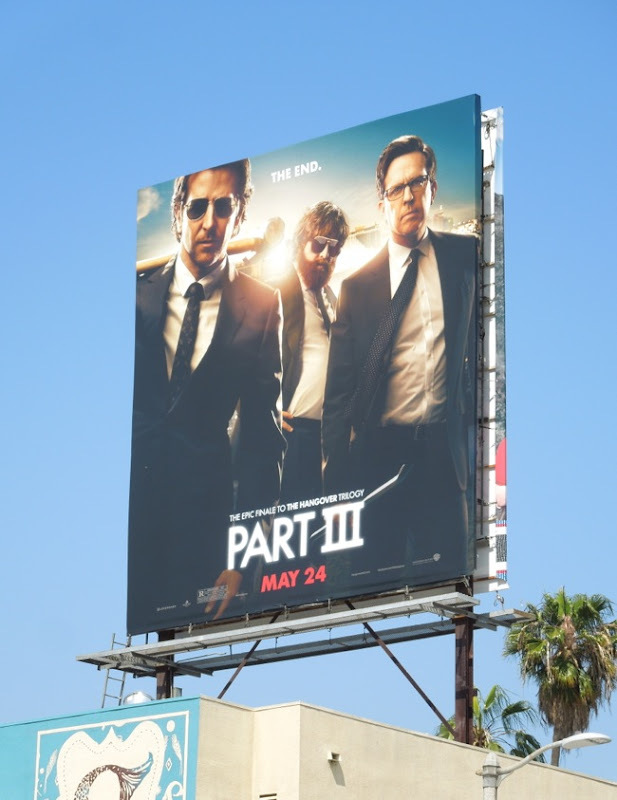 The Wolfpack certainly look like they mean business in these cool billboards for Part III, which were snapped along L.A.'s Sunset Strip, Melrose Avenue, Santa Monica Boulevard, Highland Avenue and Beverly Boulevard from April 25 to May 1, 2013. 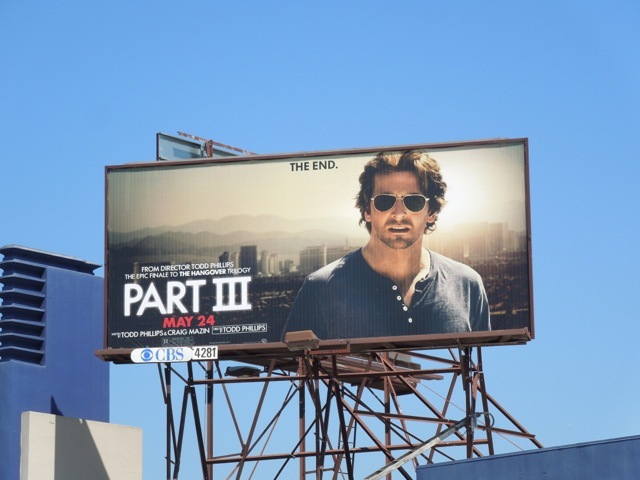 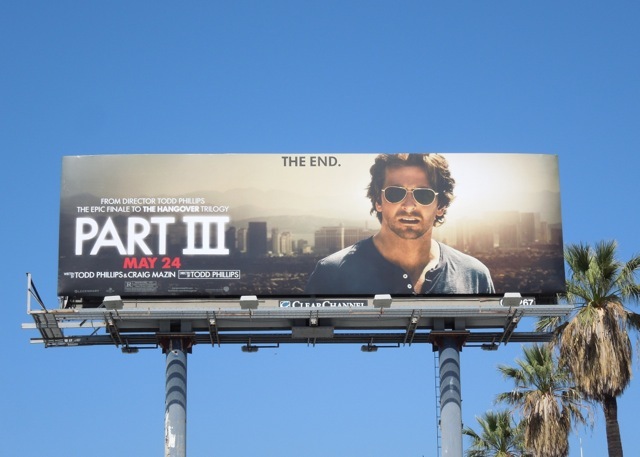 UPDATED: For all you Bradley Cooper fans out there, here's a solo billboard featuring the Oscar-nominated leading man, snapped along Beverly Boulevard on May 13, 2013. 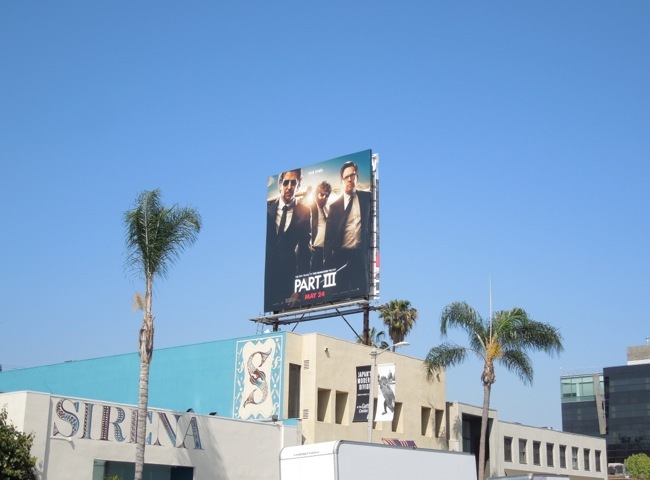 Plus this larger version snapped the next day along Sunset Boulevard in Hollywood.